In this eBook I'll try to cover almost all possible choices for Black in order to create a complete repertoire for White starting with 3.Bc4. The Giuoco Piano, also known as the Italian opening is the oldest chess opening. I'm sure many players will recall early tactical tricks noted in Greco's games. We can clearly see the logic behind White's starting moves. He has first developed his knight, then his bishop and he is prepared to castle. At the same time White creates pressure on the weakest spot in the Black camp: The f7 pawn. 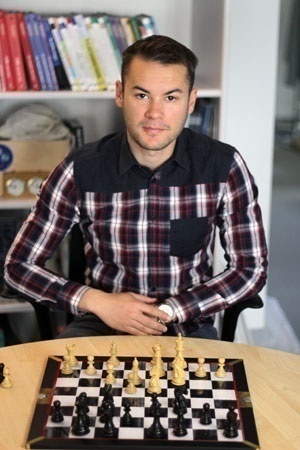 In the very old days of chess, White's idea was to play for quick development and initiative with c3-d4, and was often connected with ideas of sacrificing a pawn or even more. The Evan's gambit is one well known example, as well as the aggressive 4.Ng5 in the Two Knights Defence. This type of play is typical for beginners and indeed was the first opening I myself learned. It has brought me many victories and became my favourite opening. However, since we no longer face opponents as ill prepared as Greco's, winning in less than 20 moves happens very rarely. That is why later, around the time I achieved my grandmaster title, I switched to the more popular and complicated Ruy Lopez. But times are always changing, and in the last couple of years I, and many other players playing with White pieces have started to face serious problems against lines like the Berlin, Marshall, etc. Sometimes they even take the joy out of playing chess! That is the reason why I have returned to 3.Bc4 and play it regularly in addition to 3.Bb5. I think every serious e4 player should have both 3.Bb5 and 3.Bc4 in their repertoire, which will make each opening more effective. I can't guarantee you an advantage in all lines because that is impossible in modern chess, but I can show you how to create maximum problems for your opponent. In this series we will concentrate on systems with d3 which is known as Giuoco Pianisimo, or "very slow game". However, as you shall see, this is a bit of a misnomer. Even a very slow game can easily transpose to wild positions in as little as one move. Many people wrongly think that these systems are boring and drawish. In fact this is far from true. This eBook is a reference companion to the video series, available for €9.99 (or $10.99). If you want to see and hear Ivan provide detailed instruction on this opening, you can purchase the series, which will also give you access to the full eBook. One of the oldest chess openings, the Italian game (also known as the Giuoco Piano) still has relevance today. While no longer an effective knockout weapon against a prepared opponent, the Italian has seen a resurgence in the last couple of years due to the influence of defences to the Spanish (Ruy Lopez) such as the Berlin and the Marshall. Saric believes every serious e4-player should have both 3.Bb5 and 3.Bc4 in their repertoire, and will show you how to create maximum problems for your opponent using systems with d3. Known as the Giuoco Pianisimo, or "very slow game", this opening can easily transpose to wild positions in as little as one move. Many people wrongly think that these systems are boring and drawish, when in fact this is far from true. Develop a quiet but positionally sound weapon against 1...e5.